Are the Risks Inherent in Sampling Holding Back a New ‘Golden Age’ of Hip-Hop and Rap? and, with that, a chance to introduce them to a new generation. I am just about old enough to remember when they arrived the first time and, at the age of four/five, I was very new to Hip-Hop and Rap. Most of my musical experiences until that point were Pop and Rock; music from my parents and whatever was floating around the charts. Both Paul’s Boutique and 3 Feet High and Rising are thirty this year and, on 3rd March, De La Soul’s masterpiece gets a spotlight. 3 Feet High and Rising was the debut album from New York’s De La Soul and was very different to the edgier and more arresting Rap/Hip-Hop of the day. Whereas groups like N.W.A. and Public Enemy – who released seminal albums the year before – were talking of social justice and police aggression; De La Soul created something humorous, peaceful and light. 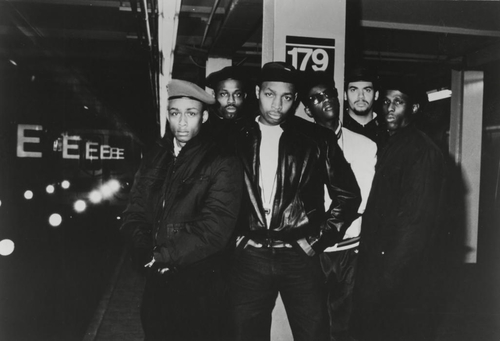 At the time, the band faced aggression and attacks as many felt their music was against what Rap and Hip-Hop stood for. At a time when the likes of Public Enemy were rallying against oppression and racism, De La Soul were releasing this album that included frat-style humour, gags and this ‘Daisy Age’ sound – harking back, almost, to the Summer of Love in 1967. 3 Feet High and Rising is seen as one of the most important records ever and it took a little while for people to understand its place in the Hip-Hops scene and the role it played. “There are also three DJ showcases for Eric B., who like Rakim was among the technical leaders in his field. If sampling is the sincerest form of admiration in hip-hop, Paid in Full is positively worshipped. Just to name a few: Rakim's tossed-off "pump up the volume," from "I Know You Got Soul," became the basis for M/A/R/R/S' groundbreaking dance track; Eminem, a devoted Rakim student, lifted lines from "As the Rhyme Goes On" for the chorus of his own "The Way I Am"; and the percussion track of "Paid in Full" has been sampled so many times it's almost impossible to believe it had a point of origin. Paid in Full is essential listening for anyone even remotely interested in the basic musical foundations of hip-hop -- this is the form in its purest essence”. I am not suggesting the entire reason Hip-Hop and Rap was ruling from the mid-1980s to the early-1990s was because of sampling! This was a time when American politics played a big role in music and the experience of the black population was hard. Rather than present these very angry and direct songs that rebelled against that oppression; acts like Eric B. & Rakim and Public Enemy managed to project big and striking messages but have this extraordinary tapestry running through. Not only did the songs sound more evocative and accessible with sampling but it was also a way of introducing new genres, artists and albums to people – they would hear sampling and be encouraged to seek out the originator. Not only were these gods passing on messages of uprising and raising awareness of what was happening in their communities; the sampling used provided this aural history and spoke louder than traditional instrumentation. If the messages were looking forward then the samples took us back and created this wonderful combination. It is not only Hip-Hop and Rap where sampling has played a big role. Artists such The Avalanches and DJ Shadow have created masterful albums that have dug deep in the crates and brought together disparate sounds. I feel one of the big reasons why these albums – those from 1986-1990 – made a big impact is because of the samples and how they brought in listeners who would not usually investigate Hip-Hop. That is not to say the samples watered down the message: they added layers and new dynamics and, as I say, created this wonderful clash. I do think a lot of music today is rather simplistic and lacks the variation and ambition needed to last through the decades. Hip-Hop and Rap are vital genres now and artists such as Cardi B, Kendrick Lamar and SZA are essential young voices. I find, when looking at the biggest albums out there, other genres are stealing focus. We still get these immense Hip-Hop albums coming through that potently speak of injustice and hardship – is the fact sampling is harder these days mean their impact is reduced?! It is a busy and packed music scene and I think there is a big role for Hip-Hop albums that rely solely on the messages and how relevant they are. Consider the anger in the Rap/Hip-Hop community and the plight of the black America. Under Trump, the U.S.A. has hardly evolved since the days of Ronald Reagan. Again, we have a Republican President who is serving himself and not the people – I see so many similarities to 1989. George H. W. Bush became President in January 1989 but, whilst a step up from Reagan, he was another Republican and not aware about things like inner-city poverty, racism and police brutality. I feel Trump is the worst of the bunch and America is more divided than ever. The last couple of years have seen some stealthy and solid Hip-Hop albums but none that match the spread, grandeur and sheer weight of those classic records – from the likes of N.W.A., Public Enemy and De La Soul. Whether we need to foster a peaceful record like 3 Feet High and Rising or an incendiary L.P. like It Takes a Nation of Millions to Hold Us Back (Public Enemy, 1988); is the fact there are stiffer locks on vinyl crates the reason why there is not another golden age of Hip-Hop? You can argue we do not have the same talent we had in the 1980s and there has already been this Hip-Hop/Rap regency. If we were to attempt a second incarnation then would sampling be at its heart? I agree it is hard to define what would make a new golden age boom but I think having access to music’s past is a key ingredient! At a time when young listeners are hearing what is fresh and are less curious than my generation; maybe having these modern records with older samples would be a great way of conveying important messages but opening young minds to some fantastic music of the past?! Sampling was never easy back in the 1980s and it was a hard time getting artists to agree to having their music used. There are articles that explain when you need permission and how to go about achieving that. There are so many different things to consider when we look at sampling in the modern age. Not only are there countless underground artist who are using sounds without permission but laws are stricter and it is a confusing process getting permission. Often, lawyers get involved and they either charge huge rates to use that sample or they insist the original artist gets a big cut of the royalties. There are issues when it comes to getting this far and struggling to get in touch with the copyright holder. What does an artist do when it is that hard to track them down?! So, could you just include some samples on your next album or single without clearing them? Maybe — though you’d be violating the contract you sign with your disc manufacturer and distributor, and if those entities caught wind of it they’d be obligated to remove your music from their service until you’d proven you had legally cleared the samples”. It is, clearly, a bit of a minefield in any case and consider the cost if you were to construct something as fulsome and eclectic as Paul’s Boutique, say! There are Rap/Hip-Hop albums that have sampled dozens of songs and, when you think about the time and cost associated with a single sample, that is a daunting realisation! I am not saying for one minute there should be a programme where every song recorded is available and one can cut samples from any and use in their work. It would be helpful having that database and then, attached, would be details regarding copyright holders and the process. I feel it is unwise to charge for every sample – as that would stifle creativity and ambition – but there needs to be this legal and transparent process. Look at this playlist that unites all the samples used on 3 Feet High and Rising and one can only imagine the headache is a Hip-Hop band wanted to make that same album in 2019. We cannot let anyone take anything but, in an age where there is a desire for a strong surge from Hip-Hop and Rap...I think we need to ask whether there are ways artists can sample without going to such lengths. We will mark two titanic albums turning thirty this year and I feel the reason they have proved so inspiring and compelling is the way the artists – Beastie Boys and De La Soul – managed to unite these eclectic sounds into something genuinely new. The world is in disarray and I do not think the Pop mainstream have the ability and ammunition to document what is happening and make powerful statements. The true power and truth has always come from Hip-Hop and it has been many years since I saw a sample-heavy record. In fact, there has been nothing quite as busy as Paul’s Boutique since 1989. Some can argue a song that is a sample-heavy is not new but can only say anything in modern music is new? So many songs have bars similar to other tracks so I think that argument is invalid. I want to bring in an article that features producer Mark Ronson. He was asked about sampling and his experience. “So say you're working on a song and you're like, "I want to put in five seconds of this other song." You can't just put it in, right? You can't just put it in. Basically, you go to the person that wrote it, or maybe the person that owns that song now — because it could have been sold, the rights to it, years ago. You have to play them your song, and then you guys kind of come to agreement about how much you're going to give them. I mean, if you use a tiny two seconds of a Led Zeppelin song, it doesn't matter how important it is to your song — you can pretty much guarantee you're going to give up 100 percent of your publishing to Jimmy Page and Robert Plant. And then you could use a tiny bit of an old spoken-word performance from an old Jesse Jackson speech or something, and maybe give 10 percent of your publishing away for it. I've been on both sides of that equation. Sometimes it's so important to your song. It could be this little saxophone move or something, but to you it defines the entire feel of your song. And it's worth is to give away all that publishing, I think, if it's something you really think makes your song truly special”. “We still tend to think of copying as a bad thing — something we shouldn't be doing. Back to what I was saying about what you add to the equation, in hip-hop there was the expression "jacking" — like when you just steal something. There is no merit in that, especially if you're trying to steal and get away without actually paying the people that wrote it in the first place. That's the absolute worst. But I think that if you're taking something and building on it, like the way that the Stones and The Beatles and Eric Clapton did with the Delta blues to make their own music, and it's truly become something that can enrich somebody's experience in a different way. Take "Sunshine of Your Love," for example. Without the great blues guitarists of the '30s and '40s, "Sunshine of Your Love" never would have existed. But I can definitely argue that I get something out of listening to "Sunshine Of Your Love" that I wouldn't get from listening those records. It gives you a different experience. I think that's what deems it worthy; that's what gives you your merit. If you really manage to be influenced or borrow or copy without making it a carbon copy, something that truly provides its own experience, its own thing for the listener, it is original. It does sound like nothing else that came before”. “You know, we used to go to record stores or record fairs to find these rare breaks. I see young producers today, kids who are 19, 20; they stay up all night just sampling straight from YouTube. I think things like YouTube kind of have made a lot of today's younger generation think that, "Well, everything kind of just belongs to us, right?" Because it kind of does: Music has been free for a long time now, for better or for worse. In some ways, the culture of today is really just about taking whatever you feel like and making it your own. Which is dangerous — there are troubled lines there — because at the end of the day, credit needs to go to the people that created the stuff in the first place. But it does make for some incredible, exciting art. And it does mean that some little kid sitting in his basement in Ohio with a laptop can be making some of the most interesting music around”. It is clear things have changed and not only is it more difficult to clear samples and be able to afford that but we have technology that allows us to create fresh sounds and samples without having to look at old records – which I think is less effective and important as bringing in older records to the new generation.